Some tips on how to use Kunesh in pre-raided Skalitz to gain some decent combat skills and valuable practice defending yourself. While playing through the intro portion of the game (Skalitz, Talmburg, return to Skalitz), spending more hours than I care to admit... 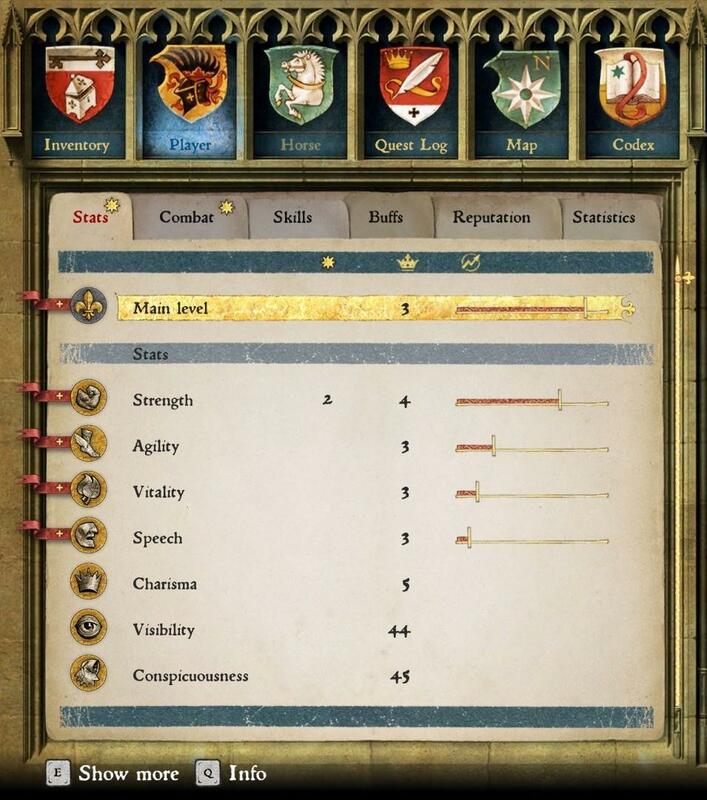 I wanted to see how much I could level up Henry, and also wanted to kill all the Cumans on the first part of the "Run!" quest. 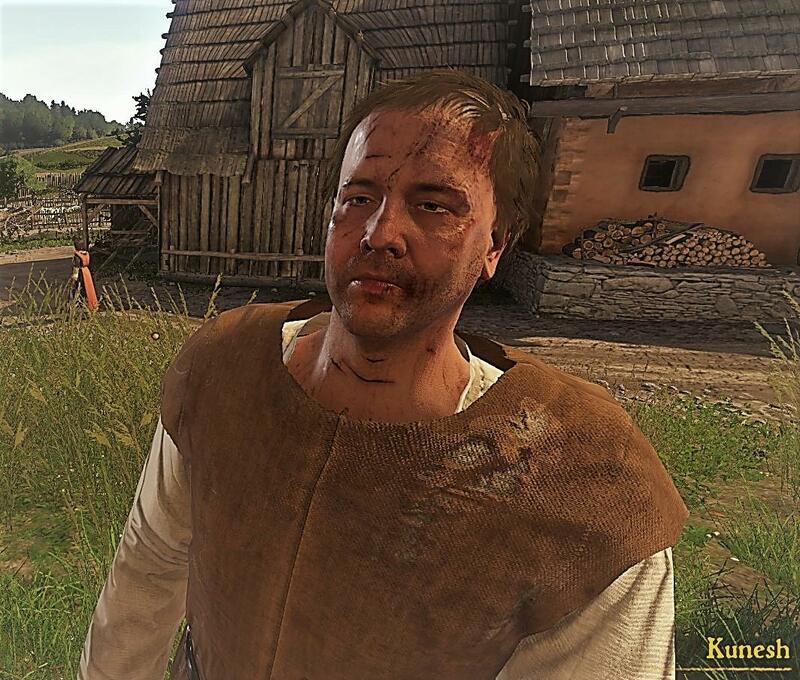 I have found that the best way to begin leveling up the Defense skill is by having a very lengthy brawl (two in fact) with Skalitz boxing champion, Kunesh. 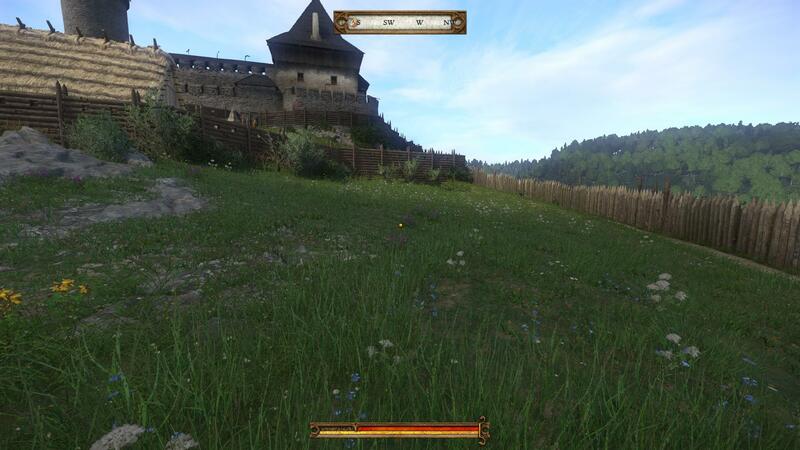 With a some preparation, dedication and patience, you can possibly max out Defense before leaving Skalitz while simultaneously training yourself to time your blocks well. 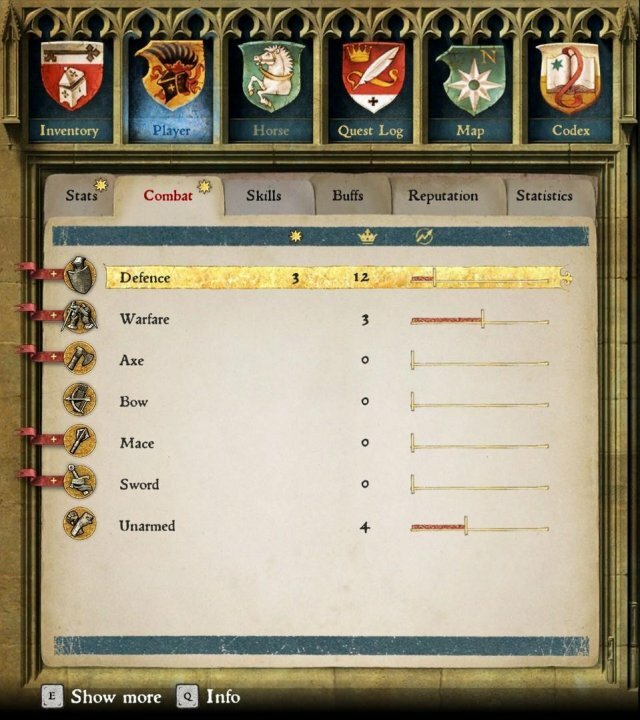 Before initiating the first fight with Kunesh it is beneficial to better protect Henry so that he has the endurance to withstand a long fight. 1. Level Vitality up a couple points. This increases Henry's stamina to withstand more blows before taking damage. This can be accomplished by running around and repeatedly jumping (there are some better methods I may talk about in an other guide). Warning: If you level up too much before the first brawl attempt then it is possible that Kunesh will run away from you rather than fight. I'm not sure what the cut off is, but I kept my main level at 2 for the first fight (Vitality at 3) and had no issues. 2. Get some armor. As you leave the upper walled area there is a villager who is pitching hay and is an easy target to sneak up and knock out. He has a bit of money and food, and some clothing you can don for additional protection. Additionally, there is a guard standing at the gate between Kunesh's house and the Trader building who you can knock out and loot for some decent starting gear. Make sure your noise, visibility and conspicuousness are as low as possible and approach the guard from behind (along the wall by where villager Adam is farming). It may take a couple tries as guards are harder to choke out. 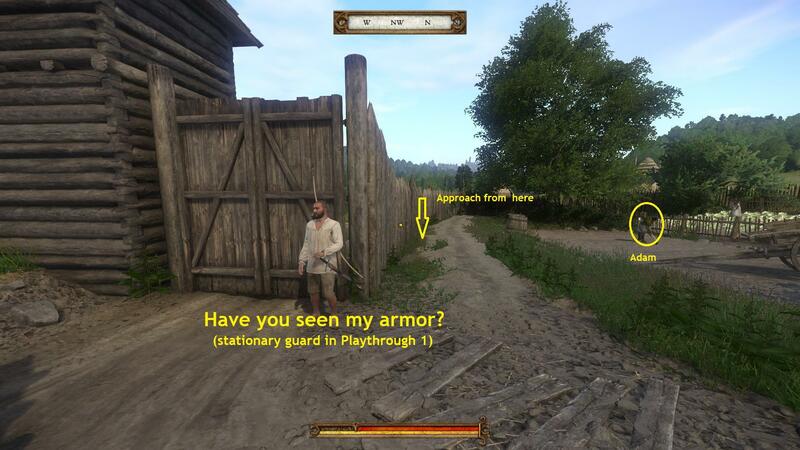 Note that in some playthroughs (Playthrough 2 for example) I have noticed that guard behavior and gear fluctuate. On Playthrough 1 this guard is mostly stationary. Also, your post-Skalitz reputation will not be affected as long as you don't kill anyone, and you won't be chased by the guards as long as you don't get caught. 3. Feed Henry. The fight will last a good while and can certainly be affected by a growling stomach. Make sure Henry is at least at 100 nourishment before you start (you might consider stuffing him up to 120). There are 2 cooking pots at your house (inside/outside) and another in Kunesh's house you can step in and eat. 4. Initiate the fight. What I did was crouch down while already standing right behind Kunesh so that he should know that you're there, then attempt to knock him out. He deflects your move and the fight is initiated instead. 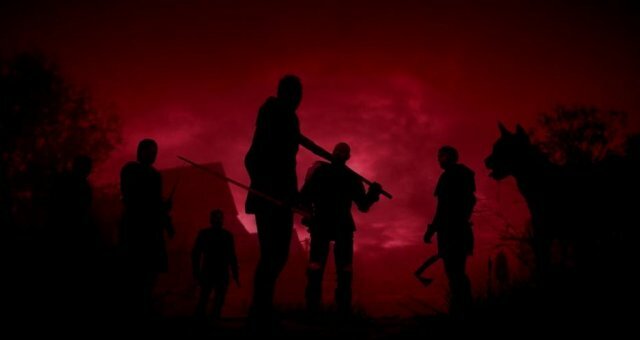 Note that nobody, including guards, seem to care about Kunesh and fighting him does not negatively affect your reputation or lable you as a criminal at this point. First a note about location. You can fight Kunesh right near where you initiate the fight, however sometimes a guard will wander by looking for a disturbance (even though he never seems to see anything). I have even led him back up to my house once because I forgot to eat from the pot outside, but it scared poor Ma... I prefer to avoid people and chicken distractions by taking Kunesh out into the nearby grassy area. The goal is to keep Kunesh up and swinging at you until you've reached your Defense skill goal. I like to get up to at least 12 Defense on the first round. This means that you have to keep from beating him down - this was hard for me to do since when brawling, punching back is kind of instinct. Kunesh will occasionally throw insults or make other comments (these comments change when he gets to low health). If you throw a quick jab (right mouse button) when he is talking, he is almost certain to block or dodge it but it will still give you experience points. Even if he gets hit, it will not do very much damage. Timing is important, but this will allow you to still level up Unarmed, Warfare, Strength and Agility some while taking his blows. Blocking his attacks - If you are like me, please try to keep in mind that you DO NOT need to worry about the directional indicator or move the mouse to counter the direction of his attacks. It is all about block button timing like the in game combat notes suggest. For the sweet blocks that do not reduce stamina I have found that you want to hit the button near the end of the swing, just before it hits you. This is the part that you can practice as a player and improve your reflexes. When Kunesh gets to 50% health he will kneel down in surrender. You can choose to continue fighting him during a dialogue though until he is knocked out at 0% health. Defense: 0 to 12 (+16%), Warfare: 0 to 3 (+52%), Unarmed: 0 to 4 (+40%), Strength: 1 to 4 (+69%), and Agility: 1 to 3 (+24%). Not bad, but there was definitely room for improvement. The second fight with Kunesh will take place after you speak with your father and get the quest to get Kunesh to pay back what he owes. When you speak to Kunesh, basically talk to him like the drunk loser he is and choose the combat dialogue option (you are most likely going to fail that which gets him riled up for a brawl). Before the fight it should be safe to derp around a bit, however I prefer to get the second fight out of the way ASAP. In particular I like to fight him again before doing the sword practice or levelling up Herbalism (and Strength with the Leg Day perk) so that my Strength is not higher, and thus my hits against Kunesh deal less damage so I can hit him more (for exp) before the fight is over. An important difference in the second fight is that if Kunesh gets to 50% he will surrender and give you the key to his trunk. That's it, no more brawls without him running off and/or threatening to go to the guards, so it is even more important to be careful if throwing punches back this time. You can end the fight (and lose) by simply running away when you are ready. Also, if you want to get Lockpicks from Fritz you have to make sure you DO NOT win this second fight. After losing the fight you can approach the locked chest inside Kunesh's house, Henry will comment about Fritz possibly having some lockpicks and that will unlock that dialogue option with Fritz to get 4 of them. (I believe this should be done prior to throwing dung at the german's house). Again make sure to top off on food before the fight and you can dodge blows for Defense until you reach your goal or cap it. Take his pants off! The patched leggings that Kunesh is wearing have good stats for low noise/visibility/conspicuousness. If you plan on nefarious activity, I recomend donning these. Just wash off in a trough and try not to think about whether or not Kunesh wipes.